this song is soooooooo dorky and cheesy (ha!) but it is still awesome! this will really help life feels like a bler some times. That is so cool! *Donload* I’m so happy! I LOVE IT!!!!!!!!!!!!!!!!!!!!!!!!!!!!!!!!!!!!!!!!!!!!!!!!!!!!!!!!!!!!!!!!! Rachel Renée Russell IF YOU ARE READING THIS I LOVE YOU I LOVE YOUR BOOKS YOU ARE MY EVERYTHING YOU ARE MY WORLD I LOVE ALL YOUR BOOKS AND YOU ARE SO PRETTY PLESAS WRITE BACK TO ME IT WOULD BE MY DREAM IF YOU DID!!!!!!!!!!!!!!!!!! 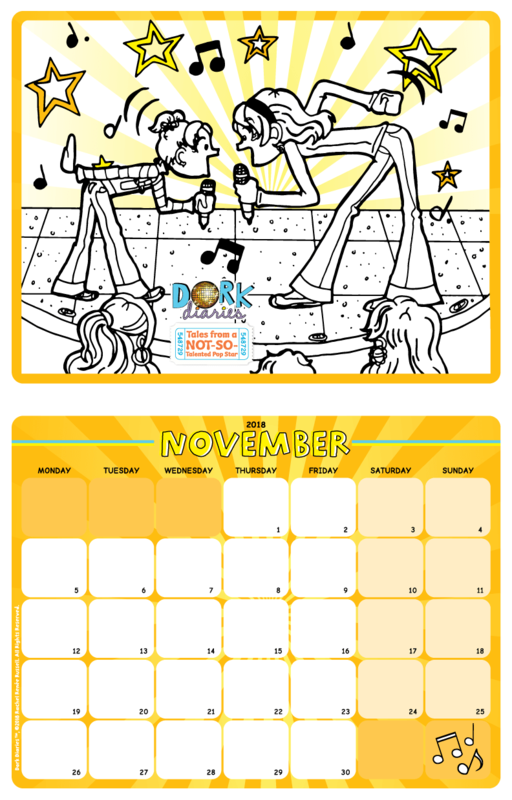 For some reason, I want to see next months calendar NOW, I wonder what new adorkable calendar you’ll muster up next. 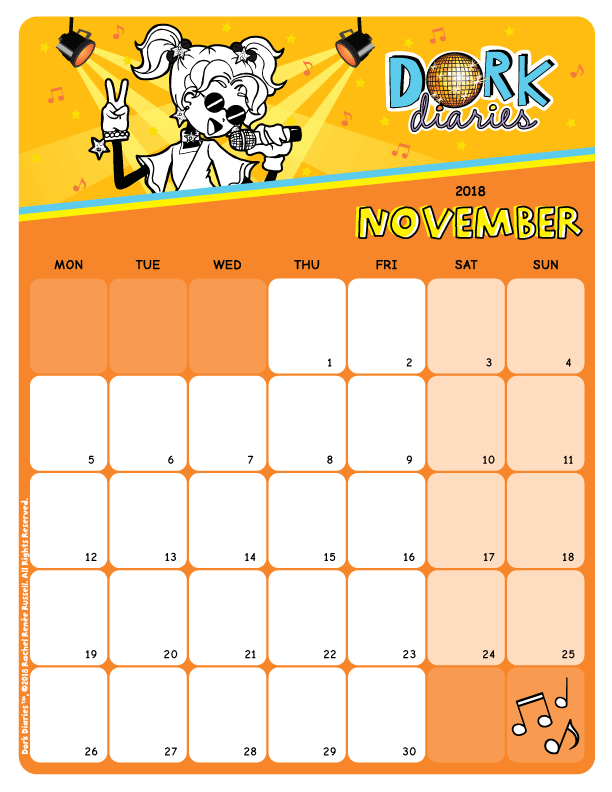 I love the calendars u post every month. I luv the first one!!!! omg flashback to book number 3 queasy cheesy performance so adorkable. The one with nikki and brianna is so adorkable!!! I have 3 calendars and check all of them each day!